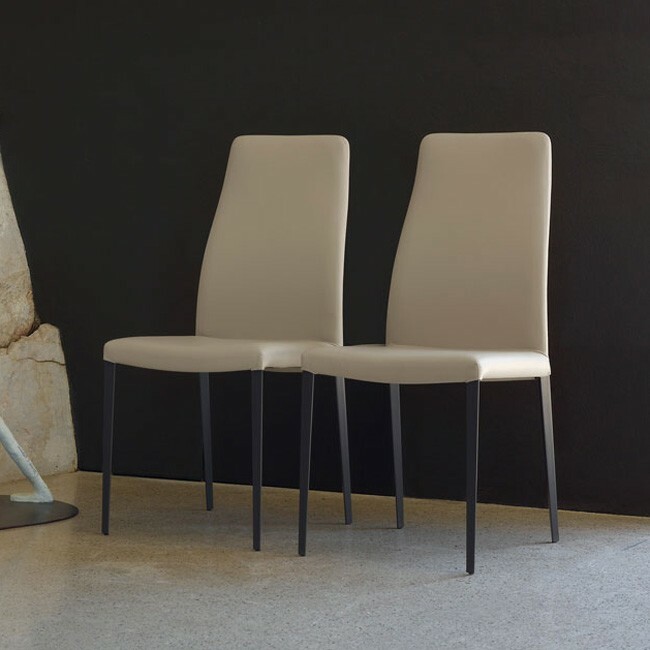 A slender modern dining chair with a high back and steel frame. 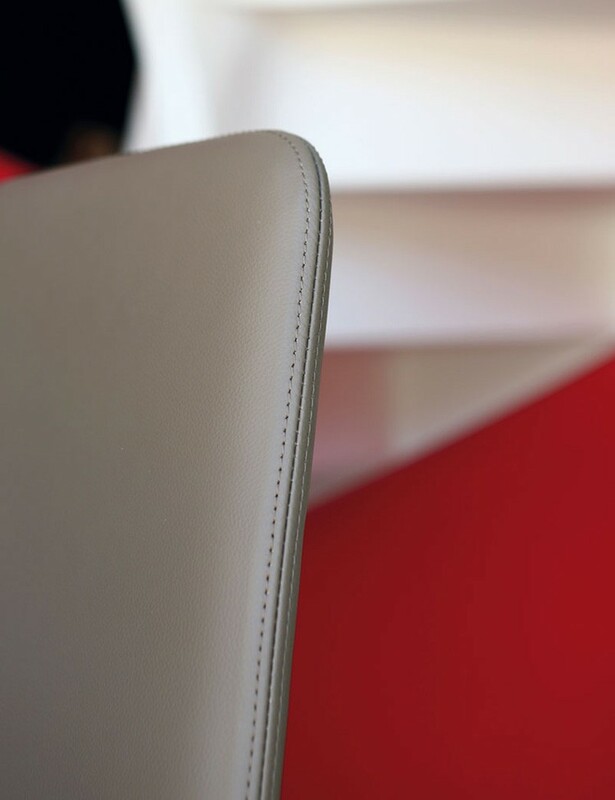 The seat is padded and covered in leather, fabric or synthetic leather. 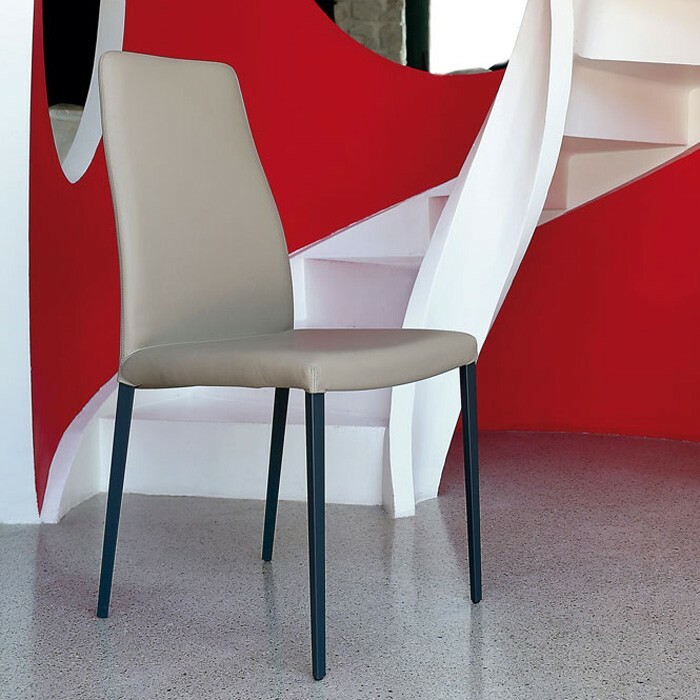 The legs are triangular in shape and available with a chromed finish or lacquered in a choice of finishes.